Sometime around the time that I got out of college and got my first apartment, I received a crock pot as a gift. While it no longer looks stylish, it works perfectly fine and it would be silly to replace it. I go through spurts when I use it and other times when it sits in a closet for months on end. 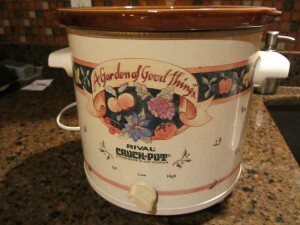 With my new focus on eating healthy and cooking more at home, I’ve renewed my interest in using the crock pot. 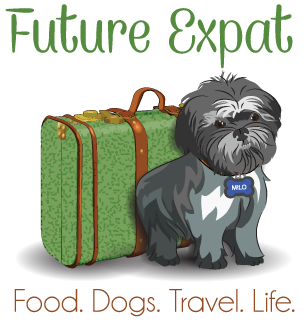 I have a few recipes that call for cooked chicken, plus I like chicken salad, chicken sandwiches and a little diced chicken in my garden salad. While there are plenty of ways to make cooked chicken, I found a recipe that I’ve been wanting to try for a while due to it’s simplicity. I couldn’t have been more pleased with how tasty the chicken turned out to be. Like usual, I’ve tweaked the recipe a tad. 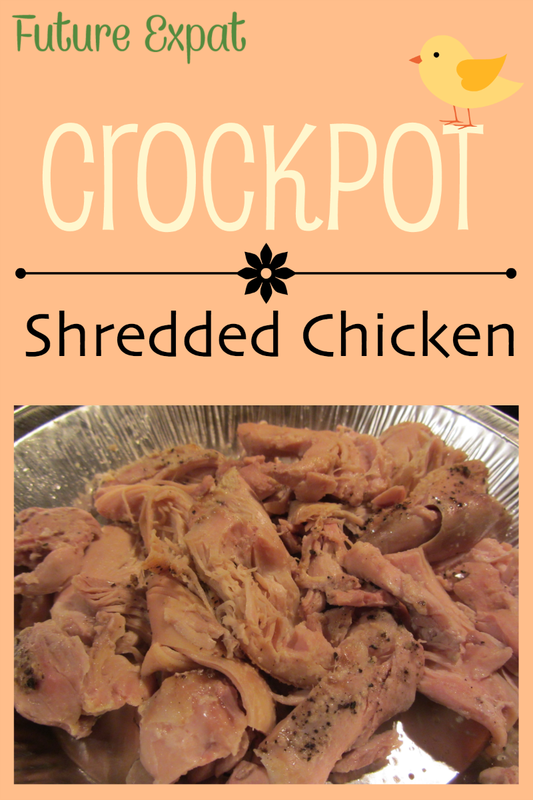 Place the chicken in the crock pot. As long as the lid will close, you can add as much chicken as you want. Mix seasonings into water and pour over chicken. If using a small amount of chicken, you can also pour the water into the crock pot and then sprinkle the seasonings over the top. 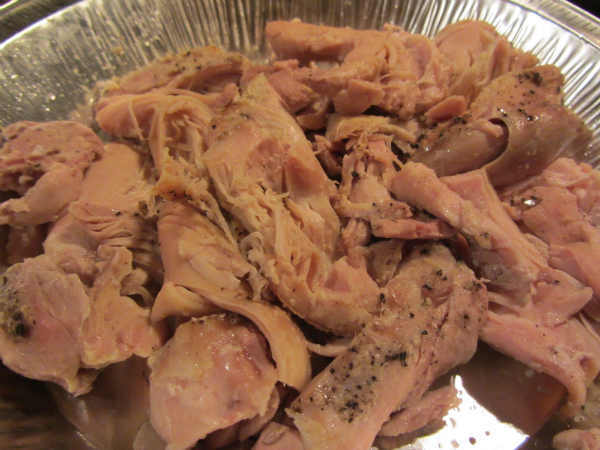 Remove the chicken, shredding it or pulling it apart into small pieces while still hot. Refrigerate or freeze in small portions so you can defrost just what you need.